0.75 Cts Brown Diamond Solitaire Pendant in 18K White Gold . This bewitching Brown Diamond Solitaire Pendant highlights an exotic Brown Diamond bezel set in 18K White Gold. Approximate Diamond Weight: 0.75 Carats. 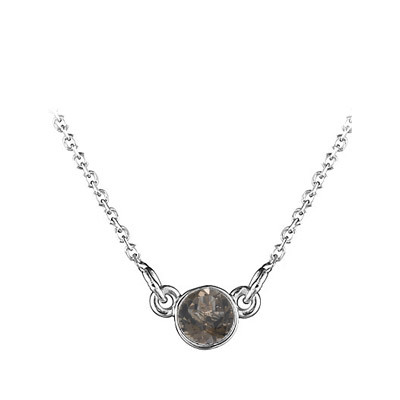 The Pendant comes finished with an 18-inch 18K White Gold Cable Link Chain. Perfect addition to your jewelry wardrobe.